We here at YCCE believe that our students are our most valuable asset and we understand that people need maintenance and upgrades even more than machines do. Retraining is maintenance. Training is an upgrade that leads to development. 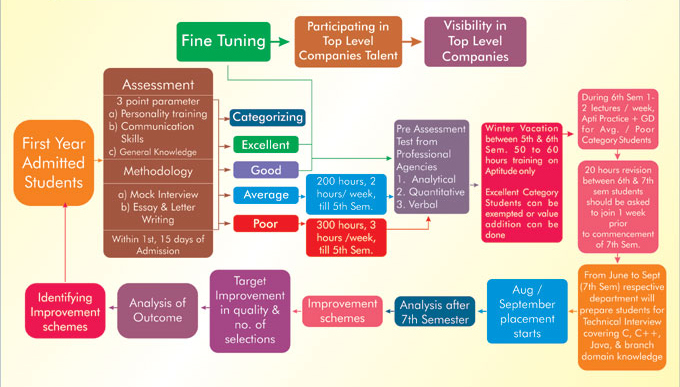 From 2016 onwards a revised Campus Recruitment Training (CRT) of 400 hours spread over from 1st to 7th Semester in association with our training partners ADCC Academy will be implemented for the first and second year students.